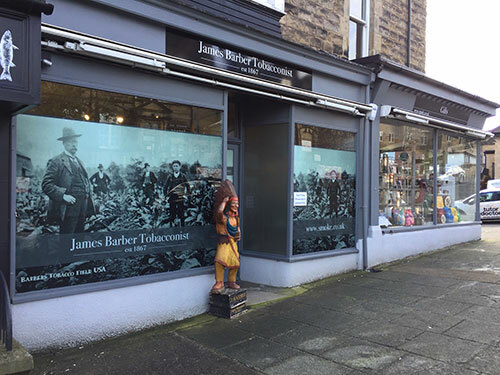 James Barber's great grandfather Joseph founded the business in Otley in 1867. 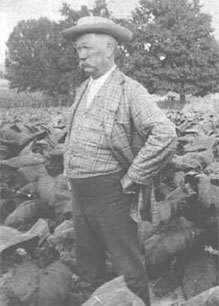 He traveled from England to the USA as a carpet bagger and obtained two parcels of land in Virginia and Kentucky after tending the land for five years. 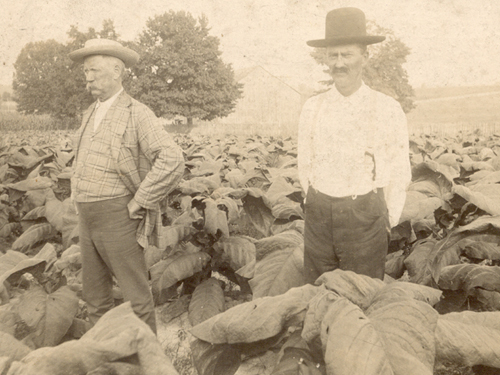 Joseph put the land to use as tobacco plantations, and ran a successful business. 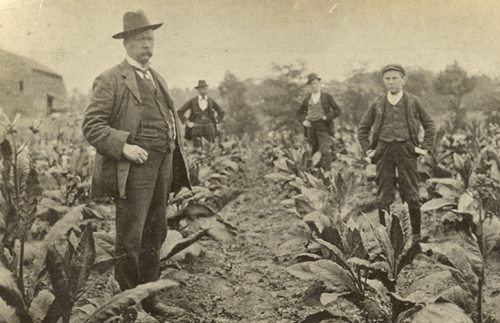 He crossed the Atlantic over thirty times visiting his plantations and importing tobacco to England. 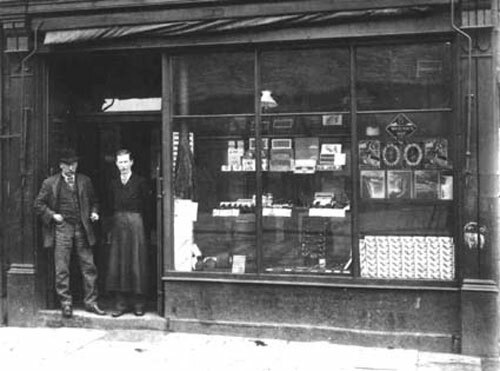 Joseph had a factory in Otley manufacturing twist pipe tobacco and a tobacco shop, sadly the factory burnt down in 1938. 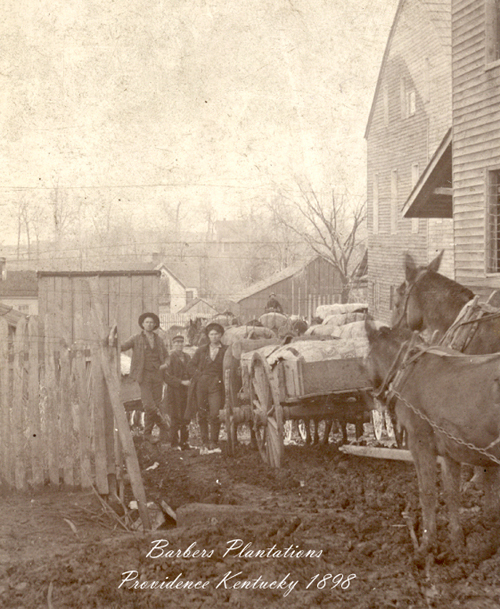 The shop relocated a few doors down the street and continued to do well under the ownership of James's father, Jack and his brother Fred. The business relocated to larger premises across the road in the 1960s. Today we are located in the spa town of Harrogate. James now runs the company with his wife Angela and their small team of staff. The fifth generation, Lauren and Alicia Barber have also recently joined the company, who both have Marketing degrees. 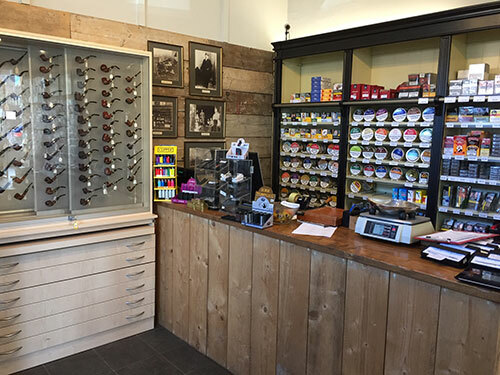 The business is one of the largest pipe and handmade cigar retailers outside of London with a 4,000 square foot shop. 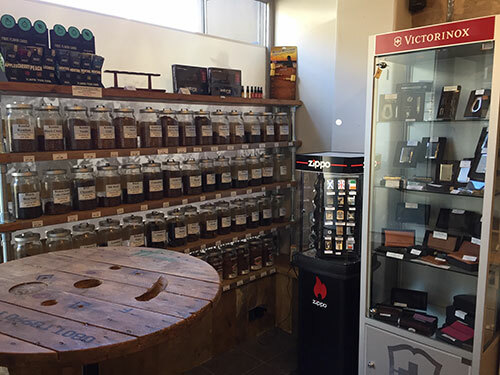 The shop sells a wide variety of tobacco products and giftware, specialising in those hard to find men's gifts. Inside the shop there is a spacious walk in cigar humidor, where connoisseurs will find many of their favourite brands in stock including such hard to find cigars as Montecristo 'A', Bolivar Belicoso Finos, Partagas Lusitanias, Hoyo de Monterrey Double Coronas, Sancho Panza Sanchos, Saint Luis Rey Serie A, and Punch Punch, among others. 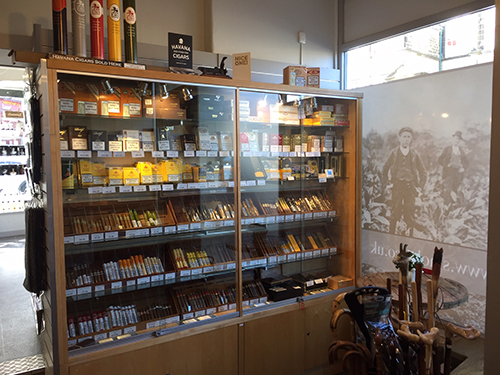 Their friendly staff have a wide knowledge of the tobacconist trade. 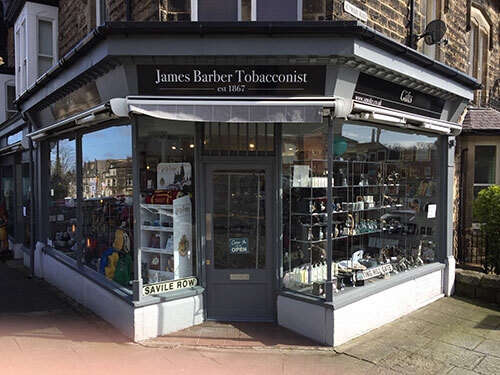 With only an estimated 29 specialist tobacconist retailers left in the UK James had to make his business survive. In October 1997 James began trading on the internet, supplying customers all over the world including royalty and celebrities. In 1994, James was elected as the youngest ever Chairman of the Association of Independent Tobacco Specialists, which is the UK's national tobacco governing body. He has also won the tobacconist Retailer of the Year Award twice for making a special contribution to the trade. Over the years James has had the opportunity to travel to Cuba and the Dominican Republic. On one occasion whilst in Cuba James and Angela were privileged to be invited to the exclusive El Laguito cigar factory in Havana, a beautiful mansion home to the famous Cohiba brand. On one of his visits to Cuba he and his Wife Angela attended an official dinner organised by the Cuban Government at the famous Club Tropicana in Havana. Half way through the dinner the iconic Cuban leader Fidel Castro arrived, who was seated on the next table to James and Angela. Over the years James has attended numerous cigar dinners and tobacco conferences with royalty and celebrities. His favorite celebrity moment was being a backing singer on Ringo Starrs album "Vertical Man" recorded in L.A. The backing vocals that James sang were "La Di Da" which is cockney rhyming slang for a cigar which still makes him laugh to this day. In 2007 history was made when we moved into our new 4000 sq foot shop in Westgate, Otley. Having traded on Kirkgate for over 140 years it was a bold move to make. The new shop has excellent nearby parking and is spacious and modern. Trade has continued to flourish. Four years ago James started a new business with Mike Davies, another former chairman of the tobacco association. Sarome UK has sole distribution rights for Sarome Lighters, Porsche Design Smoking Products, Falcon Pipes, Savinelli, Big Ben pipes and Chacom Pipes. They also import their own brand called Artamis which includes tobacco accessories and giftware. Sarome now supplies over 1500 shops across the world. 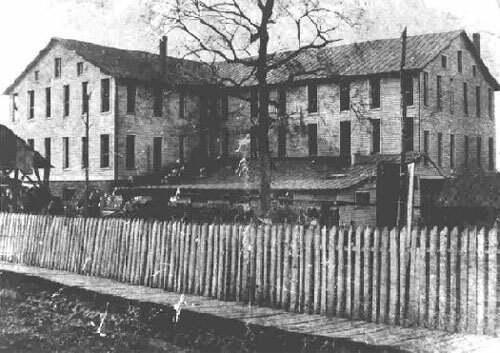 Please click on any of the images below and take a moment to see just a few historical shots from our companies past. 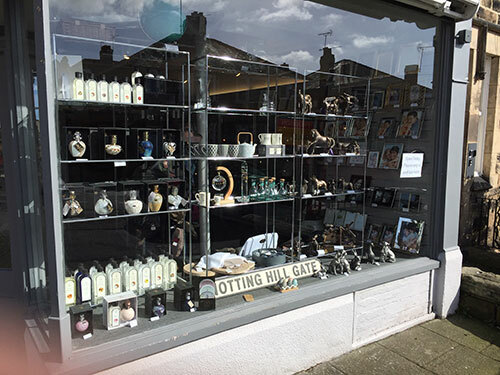 Please click on any of the images below to see just a few shots of our present day shop.